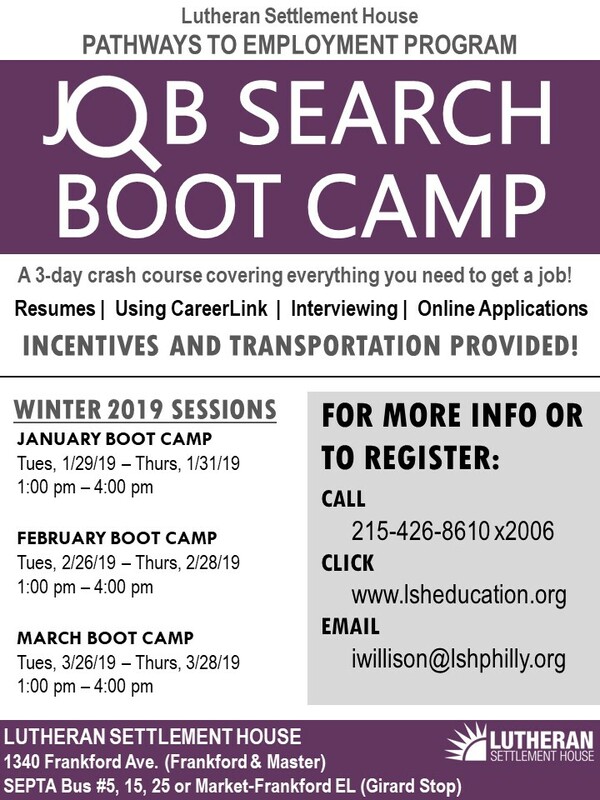 Please contact Ian Willison, at 215-426-8610 ext. 2006 with questions or to register. To set up an appointment, call 215-426-8610 x 2006. Sign up to receive our Career Newsletter! Every week, we’ll send you announcements about job fairs and employment and training opportunities! Click here to view current and past issues in your browser.